I've been reviewing beers on RateBeer.com for a while now, especially Norwegian beers, and thought it might be interesting to take a look at how the different Norwegian brewers have fared in my ratings. RateBeer allows premium subscribers to download a CSV file containing all their ratings, and so producing a table of Norwegian brewers ranked by average rating was a simple matter of a little Python programming. That Nøgne Ø should appear first is not at all surprising. They are the star of Norwegian craft brewers, the ones that have been the most successful outside of Norway, and the ones that have really gone the furthest towards turning a micro brewery into a successful larger-scale operation. They also brew what I consider to be Norway's best beer. Haandbryggeriet is also a craft brewer, but smaller than Nøgne Ø, a later entrant on the scene, and not quite as well reputed. It seems likely that they were inspired by Nøgne Ø (certainly their labels are strongly reminiscent of the Nøgne Ø ones). To see Berentsens Brygghus in the third place surprised me, as I didn't remember their beers as particularly great. Rereading my reviews I see that same surprise there; I just didn't expect that much from this brewery, but they certainly did deliver. An interesting item about them is that they are a family cider brewer dating back to 1895 that's recently branched out into beer. Baatbryggeriet, a very small craft brewer from Vestnes outside Molde placed fourth, not surprisingly. They only have two beers, a brown ale and an IPA, both decent. Oslo Mikrobryggeri is the only brewpub in Oslo, and for them to place fifth is reasonable. They have some good beers, some not so good, and are in general decent. Aass is the first of the macro brewers, and I'm happy to see them in that position. They are, in my opinion, Norway's best macro brewer, located in Drammen, and brewers of Norway's best easily-available beer. Mack follows very closely behind Aass, and to be honest I couldn't really swear to Aass being better than Mack. Mack is noteworthy for being the world's northernmost brewery, located in Tromsø at 69° north. Hansa Borg, the third of the macros, is a merger of the Hansa and Borg breweries, and if I were a local patriot I'd probably have placed this at the top, as I grew up not far from the town where Borg is. They really deserve to come below Aass and Mack, however, so I'll leave them where they are. It's somewhat amusing that Grans should place last as the only thing that sets this brewer apart is the low prices, and with an average of 2.2 (which is really dismal) it's pretty clear that low prices is their only selling point. Their Lyst Øl is my lowest-rated beer ever so far at 1.1. In closing I should note that this review of Norwegian brewers is not really complete, and the main omission is Atna Brewery, a recently-started craft brewer, whose distribution hasn't really gotten started yet. There are also some others, but their beers are very hard to find, and they are all very small. M�llebyen Mikrobryggeri deserves a visit. They are located in Moss, and has at least 4 different beers on. At least they have had that the times I have been visiting. Lervig is another Norwegian micro, and I guess you would place them somewhere along with the macros. I'd really like to try both M�llebyen and Lervig if I can. I haven't been able to find any Lervig beers yet, and I haven't been to Moss for ages. 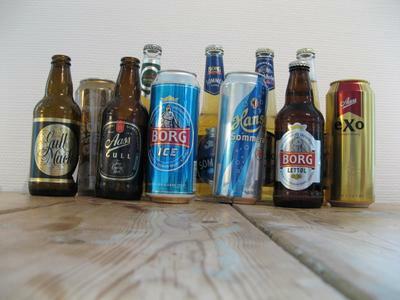 I'd also like to try any other Norwegian brewers I can find, but, well, it's kinda difficult. My ratings are very similar to yours, Lars Marius. And I would be happy to join you on the train to Moss. Early June, perhaps? A trip to Moss in June sounds good. June 8-10 or 16-30 would work for me. Are you guys really going to M�llebyen? I'm flying in to Oslo from Chicago on the 17th and I might be able to join you. Thanks. I'm afraid there are no breweries in �lesund, or anywhere really close. There used to be a small craft brewer in Vestnes outside Molde, but it is now closed. The nearest breweries are in Fl�m and Trondheim. Are any Norwegian beers sold in the USA ? Kenneth: both N�gne � and Haandbryggeriet are imported to the US, by the Shelton Brothers, and perhaps also others. Well-stocked liquor and beer stores may well have them. I've also seen Aass, but I doubt it's easy to find. 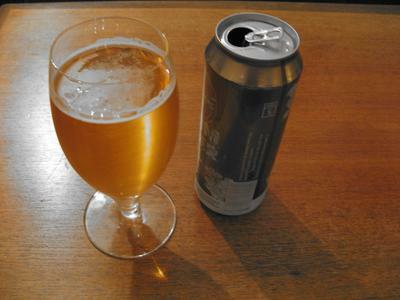 "It's somewhat amusing that Grans should place last as the only thing that sets this brewer apart is the low prices, and with an average of 2.2 (which is really dismal) it's pretty clear that low prices is their only selling point." I am not Norwegian, but have lived in Norway for many years--and have been known to drink Grans and Ringnes for that matter on occasion. I would say that the low price point is pretty big factor in Norway where prices for beer are absolutely outrageous.